Durban - The Sharks had to work hard in the second half of their Currie Cup match against Western Province to secure a come-from-behind 21-20 victory, finally showing the patience needed to score the crucial, match-winning try. 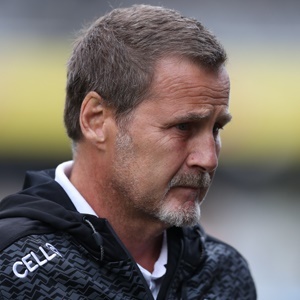 Head coach Robert du Preez cited the team’s patience - or rather their lack of - as an area they will look to improve upon. The Sharks dominated territory and possession in the second half at Newlands, but had to wait until the dying moments of the match before Inny Radebe scored in the corner. But the Sharks mentor admitted that he was exasperated waiting for his team to nail down victory. “It was really frustrating, we created so many opportunities and we just couldn’t convert them, but it was a great win. It’s always tough to come here to Newlands and get a victory,” Du Preez told the Sharks’ official website. He identified a lack of patience as the reason behind the team finding it difficult to finish the many opportunities created. “I think it’s a little bit down to impatience, but we just battled to get going after the bye, I felt that the guys were quiet. I think that had a role to play as well. The first half was good rugby, in the second half I felt for the spectators. There were two injury concerns identified, wing Kobus van Wyk picked a groin injury which will be assessed at a medical, and lock and Jean Droste broke his nose - but Du Preez expects him to be fine. The Sharks currently find themselves in second spot on the overall Currie Cup log, one point behind the Free State Cheetahs at the halfway stage. With the halfway stage now reached and the second round starting this weekend, the Sharks will look to continue their focus of regular improvements. “We struggled with our exits in the early part of the competition but that’s a bit better. The other area we will work on is our patience. We’ve created quite a few opportunities but we need to hang on to the ball, we have to keep it through multiple phases. I think that’s the biggest area we need to work on,” Du Preez concluded.